London for Men (Eau de Toilette) is a popular perfume by Burberry for men and was released in 2006. The scent is spicy-woody. It is still in production. Face of the advertising campaign was the british actor Ioan Gruffudd. A unique scent with the tobacco, cinnamon and leather are up front and center to my nose. Sillage is average between 1-3 hrs at most, longevity/performance I get between 12+ hrs on my skin. It is a Christmas scent in a bottle, the notes are well balanced and blended. It will be in my rotation this winter. My overall rating is 8.5/10. Revisiting this fragrance as my SOTD as of 02/22/19, to me is still a Christmas in a bottle type of scent, to my nose the cinnamon, leather and tobacco are so well blended together. One of my many favorite scents for the fall and winter. A solid release from Burberry, a sweet warm and spicy scent is a must have in any collection. Longevity/Performance is beastly on my skin as a skin scent around 14+ hrs. Overall rating is still 8.5 out 10 again a Christmas in a bottle. but something rode me to say something. "Interesting rumor hashed on you today..." I began. and sniffed at his forearm. i saw him in a bag and took a quick peek. Or gripped. Coulter drum. 30 ml., special offer, receipt included. So the game could start. So I'm like, "What the hell is that?" "I don't know, I tested somewhere today..."
Expression. And a little like mulled wine..."
"Findste? I can't smell a cheap plörre in there." i'll sniff... yes, exactly... Ungaro III." "You're really good, that's what this is about!" "I don't know anymore... somewhere in the bend zone..."
Besides, the Ungaro is more floral and unsweeter." "Maybe it was something else, but it doesn't matter." "Too bad you don't know anymore..."
"Then let's find a name for it..."
"If it makes you happy..."
"...I'd like a city name... how about Amsterdam?" Richie froze for a second "Nah, junk idea. "So not a good fit"..."
Tradition, historical depth, understatement, romance..."
"Yes, I wouldn't think soo wrong..."
Now he got really nervous. "OKAY. Like, "Juliette Has A Gun Lüneburg..."
"Or better yet, individually tailored to you: "
"Richie Hates Mainstream Lüneburg Sports"
It turned out to be quite a night. This is an extraordinary fragrance. Its scent relates to a lot of pleasant feelings like love, festivities, emotions, affection, intimate surroundings, family, warmth, friends... and can be used only by a smartly dressed and happy gentleman. I liked London from the first spray. It is one of the few perfumes that messed with me since the first whiff. The depth and warmth that emanated, reminded me of a lot of good and personal past memories. It was the first time a perfume had this immediate efect on me. Its aroma seemed to me to be immediately extremely delicious and evoking naturalaccords without resorting to exaggerations of matured fruits, flowers or strong herbal aromas. I immediately felt fresh and sweet spices, pipe tobacco and leather, which to me are smells as natural as earth, air, water and fire (smoke). If I could describe London in one word, this would be "comfort." This is as much for the city as for the perfume. I think this fragrance has a personal relationship with me. Usually with the different colognes I use, I try to get compliments from other people. With this precious jewel I want me to please myself. I use it when I want to be self conscious and allow myself to relax. Where? ... after taking a night shower, at a family dinner or with close friends, at night by the fireplace of my living room, at night in my home office. When? ... obligatorily at night. This is a perfume for the autumn and winter time. Its scent completes the smell of paths through the woods, the earth wet with rain or dew, the yellow and red of the trees and the cinnamon and saffron colored soil by the fallen leaves. You may even face a cold breeze that it will be dominated by the warmth of your overcoat and the London scent. The perfume opens with an accord of cinnamon and spicy ginger bread. Some moments later a sweet woody Port wine are added together with a leathery scent close to pelt and away from suede. The accords you smell are not sharp scents of an ancient fragrance, not at all. It's a beautiful, calm and natural although a bit coriaceous blending. Tobacco does not take long before it starts to appear and adds even more depth and warmth. It arrives together with a smoth resinous ambery scent of sweet myrrh and a stronger smoky guayacan wood. Throughout the life of the fragrance, stands out the sweet scent of cinnamon and ambery resins, the sweet woody Port, the smoky tared wood, the pelty leather and the divine moist tobacco. The effect is profoundly rich and masculine. London performance is low in warm environments, and acceptable in a cold ambiance. This applies either to longevity or sillage (and projection). I do not recommend many sprays at one go. At the most, apply 3 to 4 whiffs on your ears and back of the neck, repeating a lighter application after 4 or 5 hours. Applying Burberry London within your own space, it's a warm experience full of emotions. And yes... This perfume is not for grown kids. You better be over 25 to wear and enjoy Burberry London. I always liked the scent of moist pipe tobacco. As I never smoked pipe. I can only feel that scent either in Tobacco shops or projected by pipe smokers while they are filling the pipe using their own ritual for it. An added pleasure can be grasp a small glass of sweet red Port Wine and sip the juice bit by bit while the pipe moist tobacco scent is lingering in the air. I am also not familiar with the work of "nose" Antoine Maisondieu (Anthony God's House in english) but it must be someone with a very good taste for having the enlightment of reuniting the above mentioned notes in a perfume flask. In his portofoglio you find Bottega Veneta pour Homme Parfum, Balmain de Balmain, Armani Code and Velvet Orchid... impressive to say the least. If Burberry London would be converted into a still picture, it would be for sure the portrait of Sean Connery rocking a Peter's pipe while sipping Port Wine from a goblet on "MURDER ON THE ORIENT EXPRESS". If Burberry London was a music it would be George Michael's Last Christmas performed by the Jazz and Blues Experience band. The London flask is imaginative although not particularly easy to handle. The tissue cover slips a bit. After a generous couple of sprays, the unnerving notes of bergamot and lavender seem to dominate your surroundings. You should wait for the scent to settle so you may feel its charm through the spreading of an unmistakable cinnamon note with ginger bread spices. The hearth notes is where cinnamon and leather come together into foreplay. At this stage the fragrance suggests a Merry Christmas postcard and the gathering of all our loved ones. Cheers! The sweet notes of Port Wine draw your attention, making the holiday image even more vivid. The tobacco scent lingers in the air, blending itself with the strong presence of leather and cinnamon till the drydown. In the Christmas family photo, grandpa is preparing its pipe with Virginia moist tobacco. It is during the drydown that the trace of moist tobacco accentuates again. It's a warm, woody and ambery scent. An enchanting beautiful scent, really. Hellas the performance is average and all together you get this picture for five or six hours at the most. Wearability.................9.0 (the EDT sweetness is very classy and alluring. The cinammon-leather-tobacco blending contributes to suggest an all sort of situations where you can safely wear London either like a signature scent or an office fragrance, in leisure ituations, in dinners, conventions, receptions, weadings, dinning out, dates, intimacy... but not really work out, beach or sweating activities. Just go and grab one flask for yourself. If you already have one, get a backup bottle. This appropriately named fragrance really reminds of London, a classic male cologne with the oriental twist of once the biggest empire in the world. This Burberry also reminds me of Amsterdam, and delicious chicken in port wine sauce I had there. Perfect for colder, rainy or foggy days. Lavender, pepper, some pine needles, boozy accord and darker tobacco and resins. Christmas good times compressed. Very nice composition, but I would like to see this done with deeper raw materials. Nevertheless, this gentleman has some irresistible tobacco-woody-spicy charm. I just picked up a bottle about a month ago after sampling it, immediately fell in love. It really smells to me like the epitome of the fall season. Haven't worn it too much yet but once the weather starts getting a bit cooler I feel like this will become a signature scent for a little while. I mostly get an overall earthy, wood and cinnamon vibe, and as it dries down it seems to get a little sweeter with some tobacco coming through. This smells like christmas, tobacco pipe mixed with boozy rum, cinnamon & black pepper, very well blended ingredients, i'm so lucky to get pre-reformulation tester for like $20, manly scent, should be added to your list indeed! worth a sniff. In days of old sailors used to twist their tobacco into tight curly portions and infuse them with rum (obviously), molasses and spices. Once dried the tobacco would be rich with all these intense flavours. Being a smoker I know what that tastes like. I've smoked navy cut tobacco for most of my smoking life. Just opening a pack of navy cut tobacco and putting it close to your nose is exactly what Burberry London smells like right at the beginning. An almost sharp, dry-green tobacco leaf infused with sweet rum (probably the port wine listed here), black pepper, & cinnamon. It loses it's initial peppery sharpness pretty soon and reveals a warm heart of mimosa and a very soft leather accord. The sweetness from the beginning is slowly joined by some warm resinous notes -the opoponax and gaiac wood-as the spices tone down even more. The development of this fragrance is quite interesting. It will seem to have completely disappeared at one point in time. And then in a short while it makes a beautiful unexpected comeback, all warm and ambery again but not one bit overpowering or out of place. At a non-niche price it's criminal not to have it, especially if you like sweet-spicy-tobacco fragrances. Again, one of my personal favorites. A well composed take on a distinctively modern theme. Despite I highly respect their fashion side, I’ve never really been a fan of Burberry fragrances. London and Touch are basically the only ones I consider worth trying and/or having, and especially London. I am much of a fan of Antoine Maisondieu, and if you like him too, London is surely one not to miss. The notes may seem “conventional”, but the result is well distinctive and peculiar. It opens with a really nice and sophisticated sort of crisp, greenish, herbal tobacco accord rounded by a fantastic and really recognizable note of mimosa (that sort of warm “pollen” feel), and an equally unusual frame of notes ranging from slightly honeyed-fruity, to ambery (“ambroxan-ish”, actually), resinous-sweet and slightly floral, all topped with a sprinkle of spices; quite complex if you ask me, but it works just perfectly. Leather is listed, but you’ll have to dig for it, and it’s the usual sort of contemporary leather – subtle, clean, “polished” leather. Shortly it’s a sort of thin, quite discreet and really clean “contemporary herbal-Oriental” scent revolving around tobacco with a sprinkle of color around it - from greenish, to spicy, to that fruiy-resinous-floral stuff. It has a sort of “niche” vibe, it smells creative and quite different from the usual mainstream paths, and the quality seems really good to my nose. The evolution is funny; the opening is quite bold and intriguing, then it looks like disappearing from your skin for a while, then it “arises” back again with a persistent and cozy drydown mostly comprising tobacco, leather and dusty-incense amber, still with a “manly” floral-honeyed nuance. Worth having for me; it isn’t a masterpiece but it smells good, classy, distinctive, rather “young” (in a positive meaning), much discreet but with a solid sillage, “contemporary” and with that sort of transparent, crisp cleanness that characterizes Maisondieu’s style. Well worth the cheap price. "Burberry London Men" is my personal favourite among all the Burberry fragrances, because it's refined and elegant, but not too formal. I feel very comfortable wearing it myself, especially in autumn/winter. 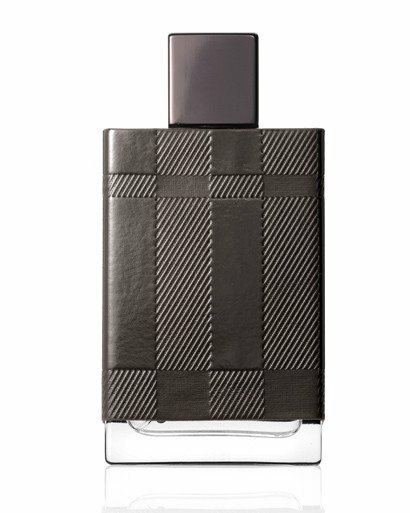 Top notes are fresh (bergamot) and spicy (black pepper, cinnamon leaves), but the best part of the fragrance is hidden inside its heart: a mixture of leather, port wine and mimosa, further emphasized by smokey accords of oak bark and tobacco leaf plus opoponax in the base. The fragrance is long-lasting and emanates a particular warm, spicy vibe I really enjoy. The only drawback is the weird "clothing" of the bottle; it comes across quite cheap in real life. 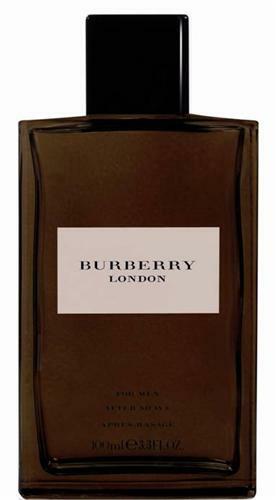 Burberry London comes across as a light, spicy, oriental scent that if perfect for a gentleman. It has all the characteristics of a "serious" or refined masculine fragrance. I like it. I also like that it's inspired by a city which I live in (London). Although I think this better represents someone's "idea" of London rather than the city itself. Like an old gentlemen's club. It's boozy, spicy, smoky etc. Like the classic Burberry winter coats and scarves (the fabric of which covers the bottle), this feels like a cold weather, very English kind of scent. It opens with a crisp, aromatic mix of port wine, cinnamon leaf and lavender. It's spicy and cooling at the same time, before an aromatic warmth starts to shine through. The guaiac wood makes an appearance and gives it a nice touch. I really like it. I think the leather and tobacco combination is what is special here... and it's what gives it the "old English gentlemen's club" vibe. I also think that this one is a great winter scent. Really great for Spring and Autumn too. I guess this could also be worn on summer nights, but never in the heat of day in my opinion. I think a lot of people would pick up on the autumnal vibe here in the sense that it smells like the trees and leaves smell when the weather starts to get cooler. This also reminds me of the smell of "mulled wine" around Christmas. With the herbs & spices and the boozy aroma. I think this would be great worn at that time. In terms of gender, although this is has a classic "gentleman" vibe, I suspect a daring type of woman could also wear this, and it's light enough not to offend anyone in any situation, as it's very warm and cosy (very lovable). It's an all round great choice for Spring, Autumn, and Winter. I recommend it mostly for those months. London Men is like being embraced by a loving man who is confident inside. Cozy, warm scent that makes me think back to my childhood. Funny! 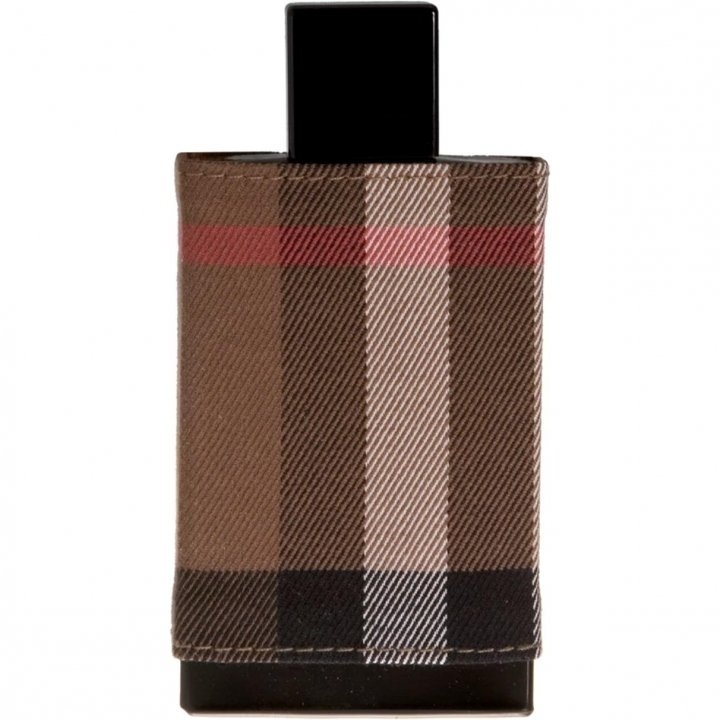 Burberry London immediately grabs you with its combination of sweet port wine, cinnamon and nutmeg spice, and its starring dark guaiac wood and tobacco duo that is quite sweet and moist like the tobacco came out of a newly unsealed pipe tobacco pouch and placed in a fine pipe. Projection is average and longevity above average. Only in some very rare cases a perfume has been presented so much in sackloth and ashes as Burberry London Men. The greyish-brown tartan fabric that covers the bottle seems to date back to those times when the Scots had only some weak plant juices to use on their sheep's wool, no colourful chemicals. Should we regard this as a a kind of romanticism or rather understatement? Plant juices is not the case with London Men – here we find whatever the big manufacturers of fragrance ingredients have designed to be used in mid-priced perfumes. There is lots of herbaceous stuff over a somewhat indifferent sweetish oriental base. So, it is hard to tell whether this is a fougère or an oriental - especially at the top and middle notes. I like that herbal burnt sugar appeal that a user on the German Parfumo tellingly described as Ricola Swiss Herb Candy. I can imagine that you feel attracted by it if you are looking for an individual, yet decent gent's fragrance. Burberry's London Men could make a good companion to a brownish tweed jacket in colder seasons – if just the development of the fragrance would keep the promise of the opening! Yet, after an hour, all beauty has faded away – and we are left alone with an arbitrary and unsophisticated oriental base note: sweetish, broad, with a synthetic appeal and unpleasant to me. This Londoner wears off into the greyish waters of the river Thames, and one should not want to apply that! Burberry is usually good for perfumes that are just a little bit better than the usual quality of medium priced fragrances. With London Men, this is not the case. Very good scent with poor projection & weak longevity. This one smells very natural. Its like u walking in a rainy forest and it smells like tree. But what is the use? No projection. U can smell only for few min. Great smell. 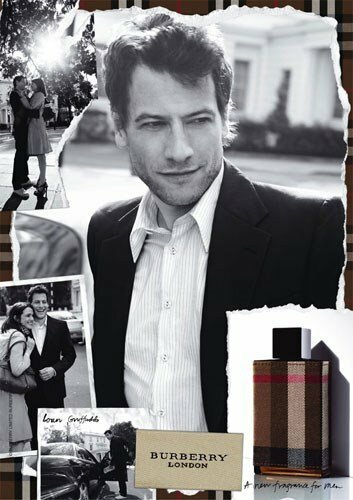 I was eager to test Burberry London for Men as a potential purchase for my then-boyfriend, who was a rather heavy smoker. Unfortunately this fragrance didn't suit him, however I am quite captivated by the scent. Burberry London smells like the ideal man to me. Masculine, strong, fierce and sophisticated. This fragrance is certainly spicy, but not in a nose-burning, Indian cuisine type sense. It's more peppery and herbaceous. In the opening, the violet leaf, lavendar and bergamot create a somewhat soothing and aromatic quality, however the pepper note insists on making this fragrance masculine and strong. The introduction of mimose in the heart is actually really unique in the way that it adds a little sweetness along with the smooth yet sexual scent of leather. Despite the sweetness, Burberry London has rugged appeal. Although I am not a smoker myself, the scent of tobacco puts me at ease. I love the way my ex-boyfriend smelt; like smokey tobacco, mint-flavoured chewing gum, musty clothes and fruit-scented hair gel. The drydown in a way reminds me of him. It has a very smokey, musty and woodsy quality that I wouldn't mind wearing myself. 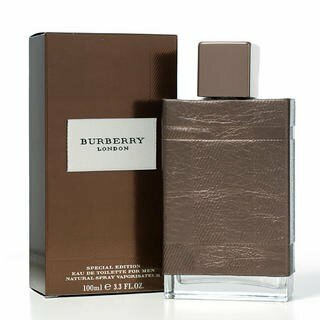 With that being said, although Burberry London is essentially a very masculine fragrance, a woman could perhaps succeed in wearing it. It would take the right kind of woman however.